Most American can conjure up a picture of an English garden but how many can do the same for a French garden, especially a French country garden. 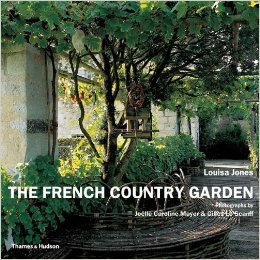 Louisa Jones’ book, The French Country Garden presents a look at eighteen gardens from all over France. Although the formal look of the gardens a Versailles may linger in our minds, there are far more styles of gardens that make up the French gardening sensibility. The gardens are presented in six groups; Grandmotherly gardens, collector’s gardens, gardens for the senses, classical formal gardens, natural gardens, and planetary perspectives. Three different gardens are described in each group with information on history, design considerations, and plant choices. Although the descriptions are not detailed, there is enough information to get a feel for the gardens and the people behind them. Numerous photographs capture the essence of the gardens described. One of the most appealing chapters was on the gardens for the senses that combine a contemporary aesthetic with the traditional herb garden of the medieval times. Here, the reader meets Dominique Lafourcade, an artist who has restored an old farm in Provence with her architect husband. She designs with her fingers and nose as well as with her eye and forms sculpture from shrubbery with her judicious clipping. Another couple, Alain Richert and Catherine Willis, both artists, have been creating a contemporary garden around an old mill in Normandy focusing on all the senses with a natural simplicity that defies the complexity of the design. The French Country Gardens gives a broad look at the recent gardening trends in France. The text is chocked full of information and the photographs tell their own story while enhancing the text. If you are interested in modern gardening trends in general or Franch gardens in particular, this book is a treat. 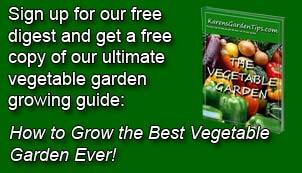 To buy The French Country Garden from Amazon.com Click Here.